Historically healthcare systems have been built around and have emphasized the treatment of diseases. Health Systems in the United States (USA) have traditionally promoted service lines that are focused on disease, including cancer care, cardiovascula disease, and joint replacement programs. Only recently have healthcare systems begun to make efforts to promote good health and prevent disease and disability. In the USA, these changes are being promoted by the payers (especially Medicare) in the hope that more attention to preventing disease and disability will lead to lower healthcare costs. Efforts to provide and pay for health promotion and healthy aging should be based on the best available evidence and should include not only biomedical interventions but also psychosocial interventions, which in many circumstances are stronger determinants of good health. Effective health promotion requires ongoing engagement with patients and caregivers in a fashion that can’t be expected to succeed in a care model where prevention is an afterthought or infrequently addressed in care delivery. Healthcare systems and healthcare funders need to invest in services and solutions that address both the social and behavioral determinants of health while promoting healthy aging for both those who are younger now and will be older in the future and those who are already older but will be older still in the future. Centers for Medicare & Medicaid Services. National health expenditure data: NHE fact sheet. https://www.cms.gov/Research-Statistics-Data-and-Systems/Statistics-Trends-and-Reports/NationalHealthExpendData/NHE-Fact-Sheet.html. Accessed 9/20/2018. American Public Health Association Center for Public Health Policy. Issue brief: the prevention and public health fund: a critical investment in our nation’s physical and fiscal health. June 2012. https://www.apha.org/~/media/files/pdf/factsheets/apha_prevfundbrief_june2012.ashx. Accessed 9/20/2018. The National Physical Activity Plan. Available at http://www.physicalactivityplan.org/index.html#. Accessed 08/03/2018. Exercise is medicine health care providers action guide. Available at https://exerciseismedicine.org/assets/page_documents/Complete%20HCP%20Action%20Guide_2016_01_01.pdf. Accessed 3 Aug 2018. Ibid. The National Physical Activity Plan. Available at http://www.physicalactivityplan.org/index.html#. Accessed 3 Aug 2018. Medicare claims processing manual: chapter 18 – preventive and screening services. Available at https://www.cms.gov/Regulations-and-Guidance/Guidance/Manuals/Downloads/clm104c18.pdf. Accessed 4 Oct 2018. Preventive visit & yearly wellness exams | Medicare. Available at https://www.medicare.gov/coverage/preventive-visit-yearly-wellness-exams. Accessed 4 Oct 2018. Center for Medicare Advocacy. Affordable care act expands medicare coverage for prevention and wellness. Available at www.medicareadvocacy.org/affordable-care-act-expands-medicare-coverage-for-prevention-and-wellness/. Accessed 21 Sept 2018. 2020 topics & objectives: older adults. 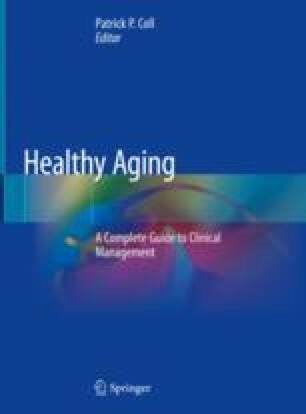 Available at www.healthypeople.gov/2020/topics-objectives/topic/older-adults/objectives. Accessed 21 Sept 2018. Centers for Medicare and Medicaid Services. Beneficiaries in original medicare utilizing free preventive services by state. 2016. Available at https://downloads.cms.gov/files/Beneficiaries%20Utilizing%20Free%20Preventive%20Services%20by%20State%20YTD%202016.pdf. Accessed 21 Sept 2018. Centers for Medicare and Medicaid Services, Medicare Learning Network. The ABCs of the Initial Preventive Physical Examination (IPPE). Available at https://www.cms.gov/Outreach-and-Education/Medicare-Learning-Network-MLN/MLNProducts/downloads/MPS_QRI_IPPE001a.pdf. Accessed 21 Sept 2018. Centers for Medicare and Medicaid Services, Medicare Learning Network. The ABCs of the Annual Wellness Visit (AWV). Available at https://www.cms.gov/Outreach-and-Education/Medicare-Learning-Network-MLN/MLNProducts/downloads/awv_chart_icn905706.pdf. Accessed 21 Sept 2018. Chronic Care Management Services FAQs (January 18, 2017). Available at https://www.cms.gov/Medicare/Medicare-Fee-for-Service-Payment/PhysicianFeeSched/Downloads/Payment_for_CCM_Services_FAQ.pdf. Accessed 5 Oct 2018.